If you’re a music lover in Melbourne, attending Sugar Mountain is the best way to kick off your year of live music. To make life easier for you, we’ve rounded up five major points from our day at the festival. The programming team behind the festival did an incredible job in curating the festival to promote diversity — which is something all music festivals should take into consideration (*cough cough*). 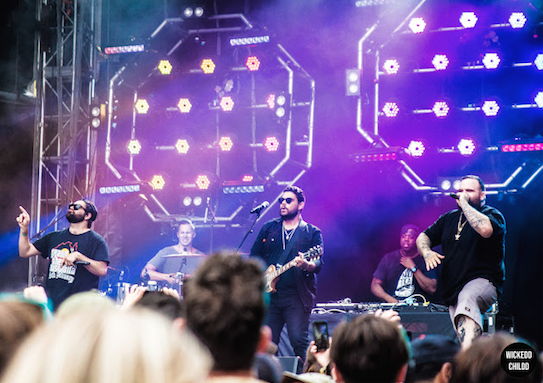 The lineup for Sugar Mountain appealed to music fans regardless of their musical tastes; from rock, electronic, hip-hop and everything in-between. Stella Donnelly wowed with stunning vocals. 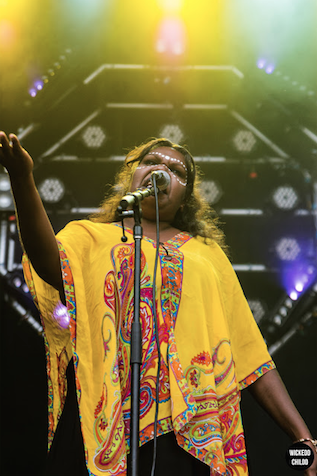 Kardajala Kirridarra enchanted the crowd with their eloquent storytelling. It was my first time seeing them live, and I was left spellbound. Kardajala Kirridarra are a must-see and I can’t wait until the next time I see them live. Chicago’s Jamila Wood brought soul and her poetry to a live setting, which was mesmerizing. Overall, Sugar Mountain presented a program that was enriched with raw talent and have set the benchmark for how festivals should be curated. Walking around Sugar Mountain felt like scrolling through an Instagram feed of stylish humans. There was an array of stylish folks (probably models or influencers) strutting from stage-to-stage in eye-catching outfits. 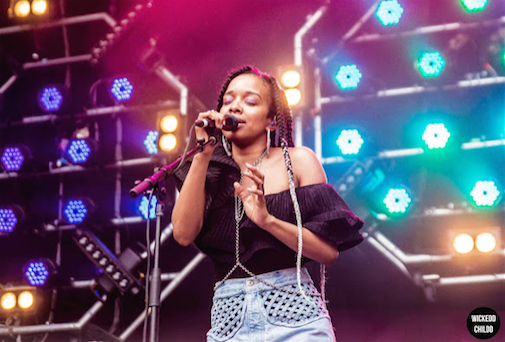 If you needed any inspo on festival style, Sugar Mountain was the place to be. A.B Original brought the energy as if they were closing the entire festival. I’ve seen them perform live many times now, and each time they elevate their live show even further (P.S. the next time I see them, I expect to see them come out on a cherry picker, Kanye style). As soon as they hit the stage, people were literally running down the concourse to make their way to the front. 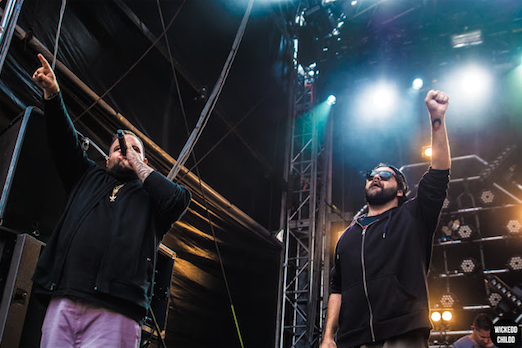 Along with the electric energy of Briggs and Trials, they had a band on-stage with them, which transcended their sound even more so. At the end of their set, they brought out Dan Sultan to perform their iconic single ‘January 26’ as well as a cover of Paul Kelly’s ‘Dumb Things’. Gold stars for those in the crowd who had the confetti poppers that looked like champagne bottles. 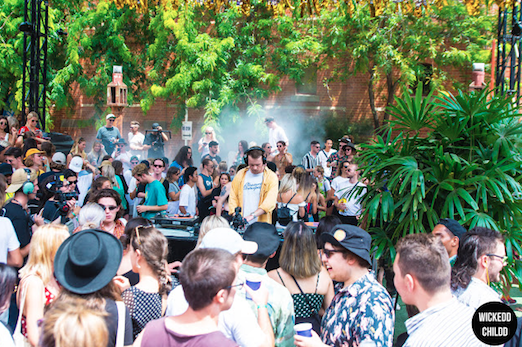 Global phenomenon Boiler Room was once again a fan favourite during the day. Though the area turned into a slight dusty mess, I doubt anyone actually minded. I didn’t spend a big portion of my day there, but it was complete madness every time I headed over. The crowds were absolutely amped and it was hard to spot someone who wasn’t in electronic heaven. At times, it felt like a completely different world from the rest of the festival. Gerd Janson was unbelievable and a personal highlight from the Boiler Room. Cash? Isn’t that what dinosaurs used back in the day? Sugar Mountain was a completely cash-free festival, which I think was a wonderful idea by organisers. I mean, who carries cash on them anyway? Because cash wasn’t needed on the day, it also meant that fewer people weren't drunkenly dropping their money whilst running as fast as they could to the Boiler Room stage.